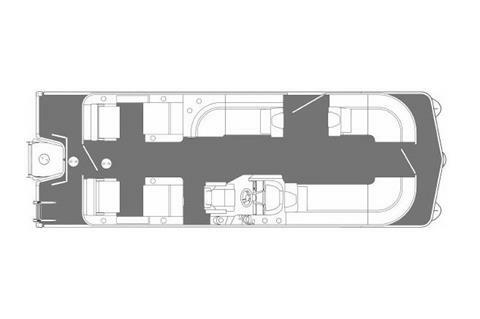 Oasis has standard features for both comfort and convenience, plus helm highlights, all with the construction and quality you’ve come to expect from a Manitou. 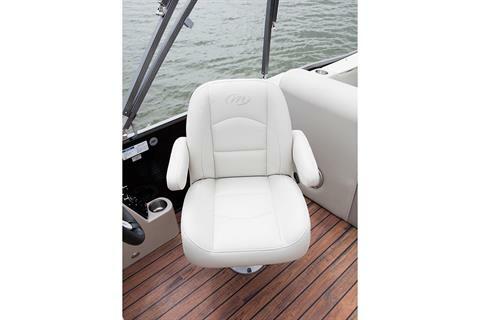 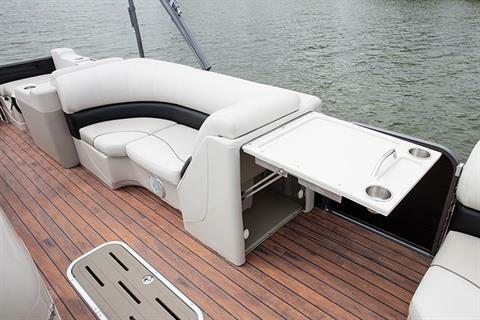 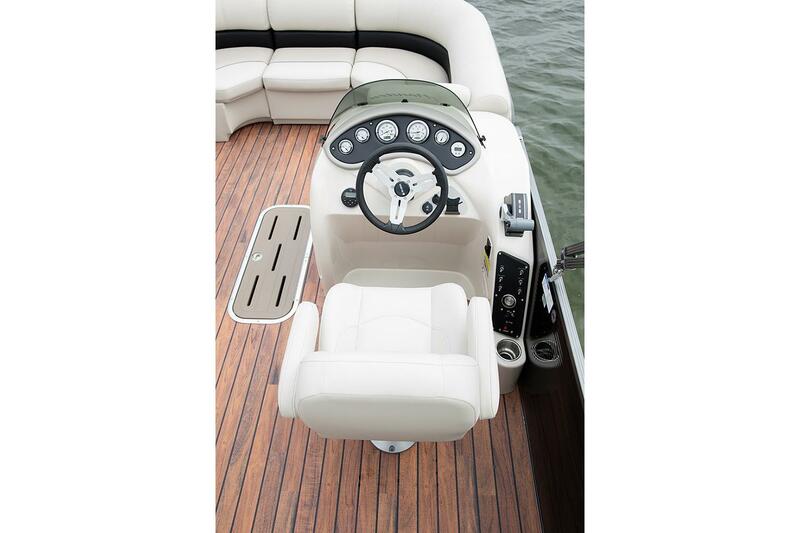 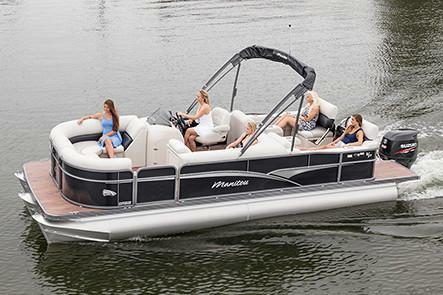 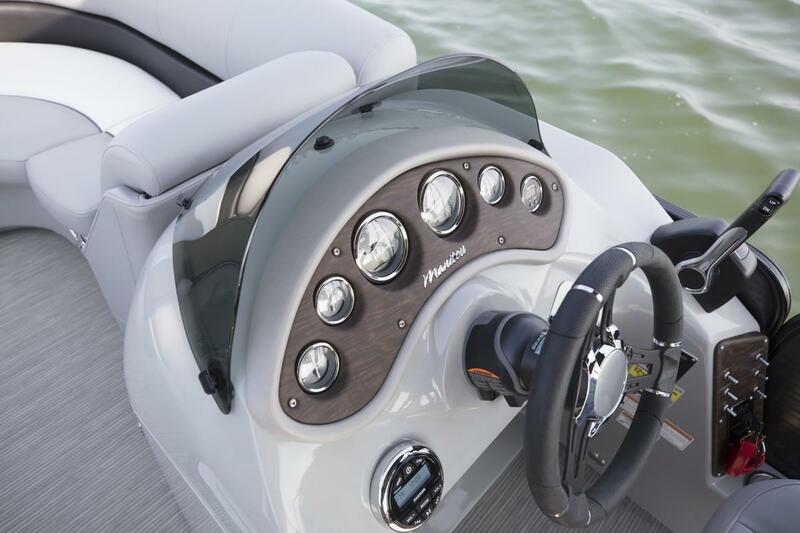 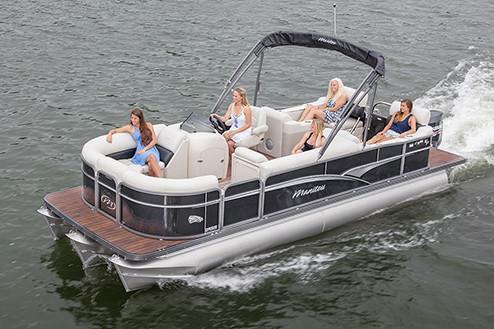 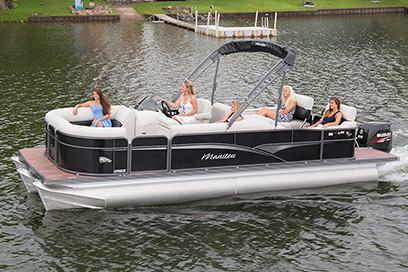 Splitting the rear-seating group creates a convenient walkway right down the boat. 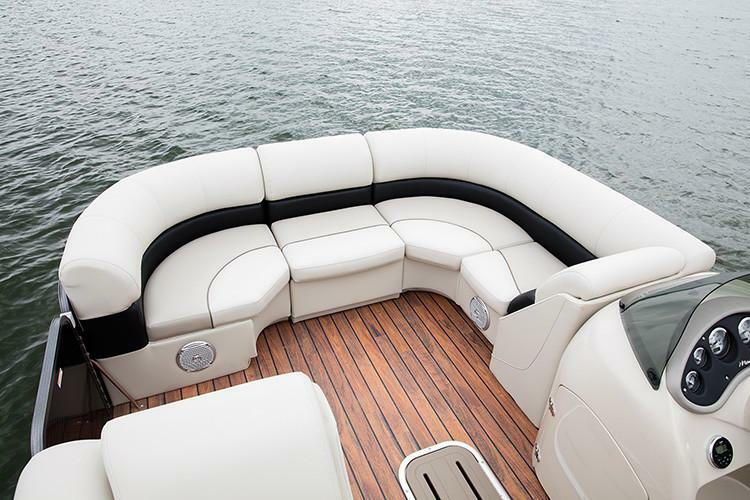 The split seats in the SR also convert from a single- person lounge to seating for two and a table.